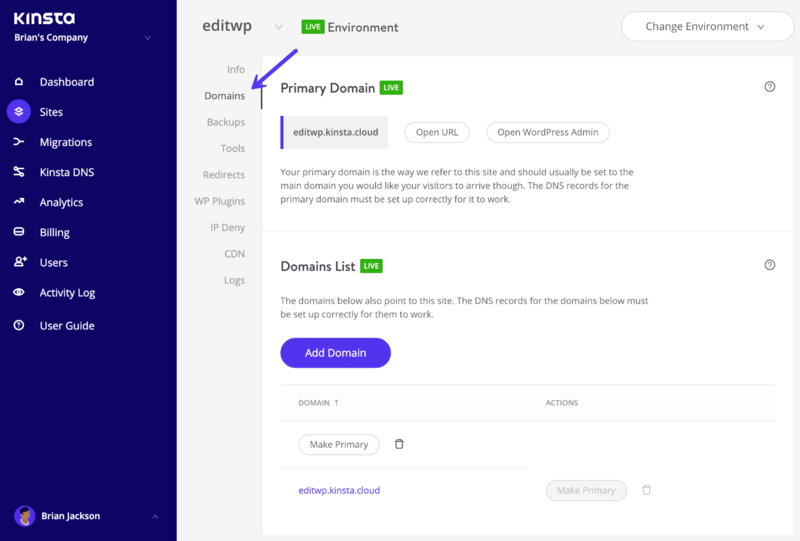 How Do I Add a Domain to a Site/Install at Kinsta? How Do I Add a Domain to a Site/Install? When you migrate your site to Kinsta and add a site, a temporary domain is typically created for you automatically (yoursite.kinsta.cloud). 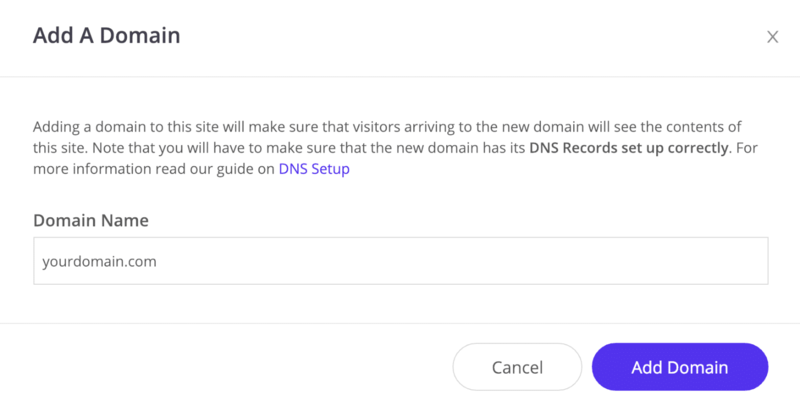 After finishing the transfer, please make sure you add the final domain to your install before you update your DNS and point your site’s traffic to us. To do this, follow the steps below. Under the Domain List click on the “Add Domain” button. Then add your domain names. 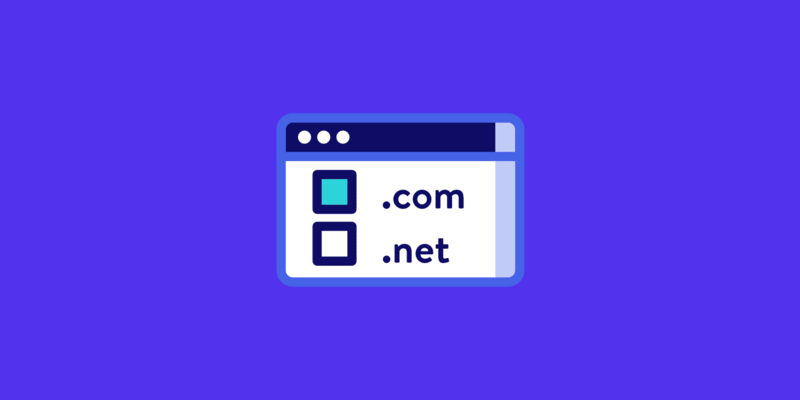 If you’re using both www and non-www versions of your domain, be sure to add both! You will then want to assign a primary domain. This is the domain visitors will see, whether you choose your www or non-www version. 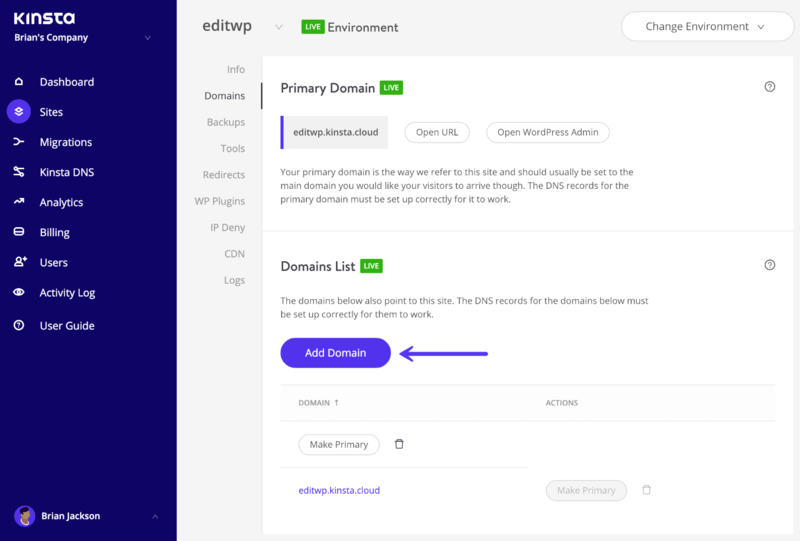 If you are just migrating to Kinsta, ensure to pick the same version you were previously using. After that, you’ll only have to update your DNS and allow some time for the DNS to propagate, which typically is 24 hours. → What is the External IP Address of my WordPress Site? → Can I transfer billing to my client? → What Features Do You Offer for Developers? → How do I add a new location?